Slide-In Ranges versus Freestanding: What’s the Difference? Most consumers opt for either slide-in ranges or freestanding stoves today, despite the availability of specialized drop-in ranges with customized cabinet bases. 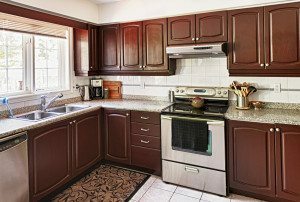 A more cost-effective choice, these appliance options also provide a greater level of flexibility when it’s time to remodel the kitchen. But what’s the difference between the two range styles and how can you decide which type is right for your needs? Slide-in ranges give the look of a built-in or customized drop-in model, but without the additional expense. This type of range does not have a backguard. Instead, the burner and oven controls are all located at the front of the appliance ― the back is covered by your decorative backsplash. When you slide one of these models into place, you have a two-inch gap behind the unit in which to wrap your countertop. Once the gap is filled, the range has the seamless look of a built-in. These units are also designed to touch or overlap the countertop, just like a drop-in cooktop would do. Slide-ins are designed to fit between two cabinet bases, which is why most models have unfinished sides. Freestanding ranges feature rear backguards that house the oven display and controls. Burner controls for electric models may be located on the backguard as well; however, for gas ranges, the knobs are typically placed at the front. Unlike slide-in ranges, freestanding models have finished sides, allowing them to stand alone or between cabinets. Both types of stoves are available in a variety of design styles, many with technologically advanced features. To help you decide which would be better for you, begin by listing those features that are most important for your lifestyle. Next, think about the appliance’s desired placement. If flexibility is important, a freestanding model might be the right choice, as you have the option of leaving one or both sides of the unit exposed. But, if you are installing the appliance between cabinets or as part of a kitchen island, you may want to consider a slide-in unit for a tighter fit. Many homeowners also prefer slide-in designs because they are easier to clean (food and crumbs cannot fall down the sides, as there are no gaps between the appliance and the countertops). And, of course, slide-ins offer a more contemporary, low-profile look. Price is also a factor when choosing a range, however, and slide-in ranges are typically more expensive than freestanding models. When shopping for a new stove, functionality, price, and style are all important considerations. With so many options available today, this can be a confusing process to navigate. 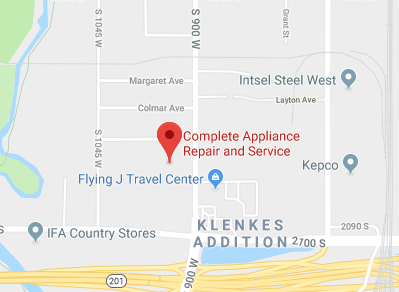 At Complete Appliance Repair in Salt Lake City, we offer both sales and installation of all major appliance brands and models, and we can help you determine the best options for you and your family. Contact us today for more information on freestanding and slide-in ranges. This entry was posted in Blog and tagged Freestanding stoves, Slide in Ranges, Stovetops on November 13, 2015 by admin.